Earlier this year East Fishkill Town Board considered a pet limit law, angering local residents. Under the current draft proposal for changes to zoning ordinances, East Fishkill plans to limit the construction of dog houses, barns, rabbit hutches, etc., which will have the same net effect of restricting pet ownership. Residents will be limited to ONE accessory building on their property, such as a small tool shed or greenhouse. There is no "grandfather clause" in the proposal. Special permits will be necessary for additional small, commonplace structures like dog houses, rabbit hutches, etc. Note: Dog Federation of New York is particularly concerned about this requirement which may inhibit residents from providing proper shelter to their pets. 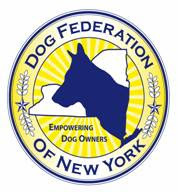 NYS Animal Cruelty statutes specifically require that dogs outdoors have access to adequate shelter--a dog house--and it is a violation of NYS cruelty laws to deny dogs adequate shelter. Other concerns include a change to the definition of "commercial kennel" which may force home and hobby breeders to relocate outside of residential zoned districts.